Contact us any day of the week. We offer the most affordable and reliable cleaning services in Stratford. We are capable of providing top quality and low prices, because we work with the best professionals and the newest equipment available today. We are the most competent team of cleaners in the E15 area. We employ a friendly and dedicated staff, that has received professional in-house training. They and can complete jobs of a varying complexity and character in an effective and speedy manner. Each of our diligent experts has access to up-to-date and professional equipment. 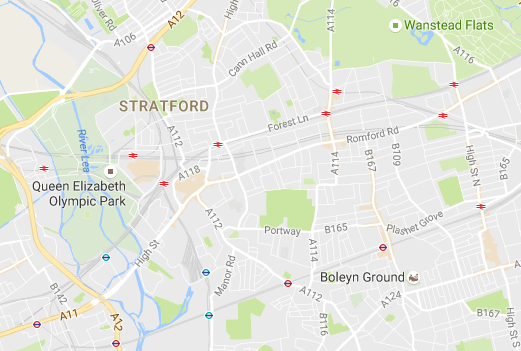 As a result, we are able to offer our customers excellent quality solutions, as well as to easily serve Stratford from one end to the other. 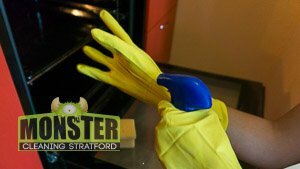 Monster Cleaning Stratford has one of the most impressive ranges of services in Stratford that can meet any need and fit into any budget. We cover general and specific services all of which are available for business and private customers at a very cheap price. Domestic cleaning – comprehensive solution that will help you enjoy a spotless home and more free time. Our cleaners can come to your home on a weekly, fortnightly or monthly basis, depending on your needs and preferences. Hire us and we will add 1 hour for free for your next appointment. End of tenancy cleaning – the best and easiest way to get your security deposit back in no time. We work using detailed checklists and can quickly complete small- or large-scale projects even on a short notice. Carpet cleaning – no carpet is a problem for us. We have modern equipment that allows us to rely on different advanced methods in our job that will make your carpeting look like brand new and preserve it in that state for a longer period of time. Oven cleaning – a quick and cheap solution to bring back the shine, as well as to extend the life of your cooking appliances, including ovens, BBQs, extractors, grills, cooktops, hobs, hotplates and etc. We have experience with all kinds of cookers, regardless of their brand or kind. Deep cleaning – the most effective way to refresh and rejuvenate your property. Includes extensive cleaning of all areas in your house, like bathrooms, kitchen, living and common areas, bedrooms and hallways using the most professional equipment and solutions on the market. One-off cleaning – reliable and safe way to give your home or office a fresh start for before a new season, for example. Pay only £136 for the cleaning of 2 carpets and a one-off service. 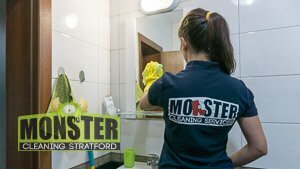 Monster Cleaning Stratford is incredibly eco-conscious and has adopted some of the greenest methods and materials used in the industry. You will be happy to learn that we steer clear from harsh and toxic products and chemicals. Instead, we do our best to use only green and organic solutions and equipment in our work, without sacrificing on the quality we provide. In that way we protect not only nature, but also the health of your loved ones, as well as that of your pets. It should be noted that our eco-friendly policy does no result in more expensive services, since our prices are highly customizable. Our pricing is very flexible and it is determined largely by your requirements and your budget. We can assure you we have no hidden fees or charges.